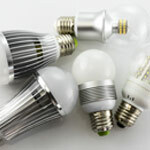 LED lighting systems are different from incandescent lamps. The various parts of an LED system, including the light engine, driver, and dimmer, all interact in electrically complex ways and aren’t necessarily compatible. This incompatibility can result in flicker, buzzing, and other performance issues, which will vary from lamp to lamp and from dimmer to dimmer. As LEDs become the dominant light source, you need to have confidence that the whole system will perform reliably, providing efficient, aesthetically pleasing light. However, there aren’t any industry standards for ensuring compatibility between light sources and dimmers. That’s why we conduct extensive testing. As the global leader in lighting controls, customers come to us to learn about reliable LED dimming solutions. We developed a rigorous regimen, which includes over 25 electrical and aesthetic tests for every model of lamp we test, to validate its performance in combination with each of our dimmer types. We’ve been building a library of test data since 2009, and have now tested over 2,000 lamps in combination with our range of dimmers. 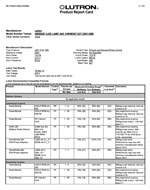 We publish report cards detailing the performance of the lamp when paired with different controls. Report cards confirm compatibility and provide performance parameters that you can use to achieve system success. We test lamps free of charge and publish results openly at lutron.com/ledtool. Note: We only make positive results publicly available. Can’t find the specific make and model of lamp you manufacture or wish to use on your project? Please contact us at LEDEurope@lutron.com to have your lamps tested. By collaborating with us, you can ensure our mutual customers get the best possible LED performance on their projects.